Happy 2015 everyone!! I hope you all had a wonderful, fun filled night! We are celebrating with our friends in Baltimore for a few days. But for the first day of the new year, I thought it was right to talk about goals and resolutions. In the past, I have tried to make resolutions and failed. I have tried to set monthly goals and mostly failed. I have tried all sorts of things. This year, I'm going to try something different. I have heard a lot about people focusing on a word or just one topic for a year, so that is what I'm going to do. I'm going to jump on that bandwagon. 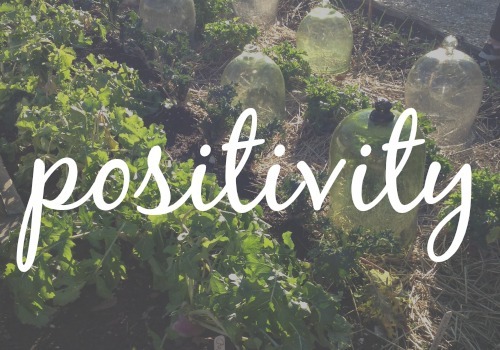 My word for 2015 is positivity. To be totally and completely honest, I sometimes struggle to be positive. Especially in situations when I get stressed, it is hard for me to not jump immediately to a negative reaction. I know that this has sometimes hurt my relationships. Who wants to be around a negative nancy, after all? If I shift my outlook to one of positivity, I think this will impact almost every facet of my life. I think I will find it easier to reach my goals. I think my relationships will become stronger. My life will have a happier tone. Anywho... I hope I achieve a couple of the goals on my long and ever evolving list. As long as I have a good attitude, I know I have a much better chance. That's a great word! It's so hard to remain positive, but I admire you for making it a priority! Thank you! I feel like if I don't try something, I might get sucked into being a Debbie Downer. And who wants to be that. I have to keep trying, even if it's hard!